With excitement Ahmad Jawead, 22, shovels and picks his way through rock after having blasted the rock in his 60 meter deep mine looking for emeralds in mountains over the Panjshir Valley village of Khenj, Afghanistan on Wednesday, October 24, 2007. 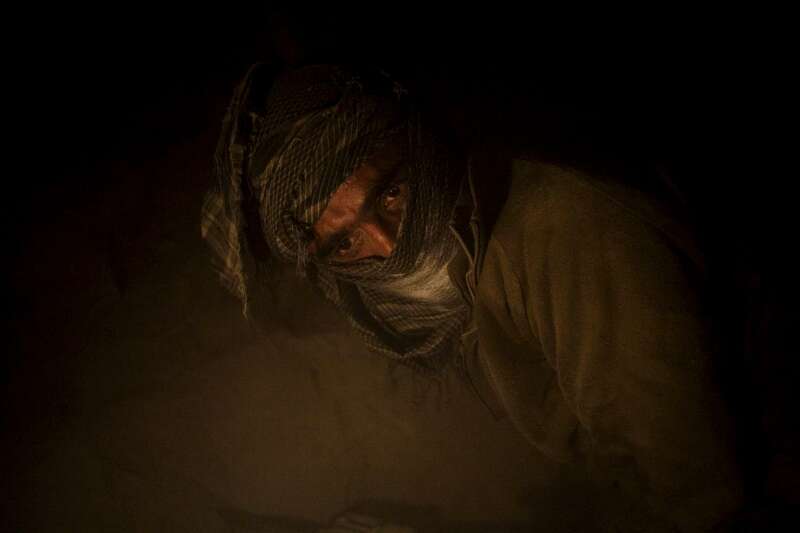 Jawead has been working his mine for seven month straight looking for an emerald large enough to buy his way out of Afghanistan. After declaring his desire to leave the country and asking for help his family forbid him to leave. Now he blast the rock hoping to fund his own way out of the country.